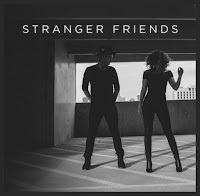 Stranger Friends - "Stranger Friends"
Formed by Nashville singer-songwriters John Martin and Jamie Floyd, country duo Stranger Friends released their debut self-titled EP on 20th October. Regular readers will already recognise the name Jamie Floyd (you can check out my previous interview with Jamie here) and John Martin is making a name for himself writing songs alongside country superstars like Garth Brooks amongst other accolades. The two came together as part of writing songs for recent Burt Reynolds movie Dog Years and this EP is the result of them continuing that partnership and their subsequent record deal. Two of the songs on the EP really stood out for me, opener Country Song and closer Don't Get Back Up. Country Song has the faster tempo of the two and is without a doubt a brilliant choice to open the EP and to, most likely, be the first full studio recorded track listeners have heard from the duo. You can instantly picture this being a very popular song live in particular, with it's upbeat, catchy rhythm and the overall ebb and flow of the track. Don't Get Back Up has a completely different feel behind it but is a really lovely track grounded by a touching lyric. Out of the EP as a whole it is Don't Get Back Up that seems to showcase John and Jamie's vocals at their best, their solo lines oozing a heartfelt, delicate emotion and their harmonies sounding incredibly tight when they come together. A really lovely moment in the EP and a track which you can easily feel yourself washed away by, Don't Get Back Up will certainly leave you wanting to hear more from Stranger Friends. Whilst I really like the EP as a whole I'm finding I'm not entirely drawn to I Ain't Dead. Oddly the track feels a little too dark - it certainly shows a different side to the duo but I'm not entirely convinced it's actually needed. I Ain't Dead struggles to really add something to the EP as a whole in my opinion, the vocals don't feel as strong and polished and the production as a whole verges too much on the gloomy side. 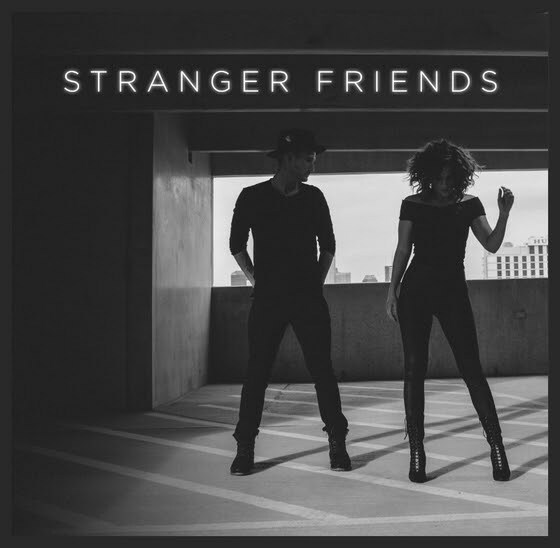 Overall Stranger Friends are undoubtedly a duo to watch and prove that with this debut release. Blending mainly traditional country and Americana influences, John and Jamie firmly make their mark upon country music and are sure to draw listeners - and ultimately fans - to their music. I'm already intrigued to hear how this partnership will develop in future releases and I'd certainly recommend having a listen to their debut EP. Very impressive release, if these tracks are anything to go by Stranger Friends will be around for a long time yet. Labels: Stranger Friends "Stranger Friends"
Carly Pearce - "Every Little Thing"